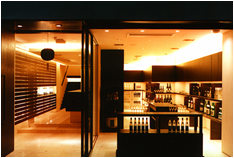 In Food Sake Tokyo on page 182 I have listed Ginza Fukumitsuya (Chuo-ku, Ginza 5-5-8) as a sake shop worth checking out. Unfortunately they have closed their doors as of July 31, 2011. It is so sad to see special shops like this shut their doors. FYI, the other shop listed in Food Sake Tokyo that has also closed since going to print is Nebariya (Shibuya-ku, Hatagaya 2-48-2), a restaurant specializing in natto on page 75.